There’s an undeniable feeling of love in the air. That’s when you know that Valentine’s Day is near. And it’s the perfect time to show the seniors in your life just how much you care. As children get older, they tend to move away from parents and other family members. If they are not able to benefit from the services of a professional home care agency, elderly loved ones may experience loneliness and isolation while living alone during the holidays. Some may be emotionally distant from those closest to them, while others with mobility issues may be physically unable to travel back and forth for special gatherings or events. Luckily, these special times give us the opportunity to spread a little goodness and cheer amongst those we love. 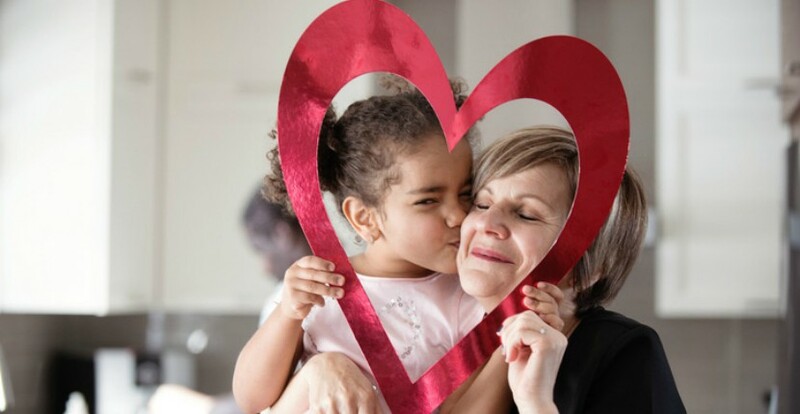 If you’re looking for ways to celebrate this Valentine’s Day with a parent or grandparent and need some thoughtful ideas, Freedom Home Care came up with a few holiday activities to try together. For older loved ones, craft making is not only a way to create fun projects, it’s also a great way to bond, while creating lasting memories. Using a mason jar, cover the middle of the jar on one side with painter’s tape. With a marker, draw a picture of a heart on the tape. Take a knife of and cut out the heart shape from the tape. Spray the entire jar with chalkboard paint and let dry. Add a words of love and encouragement to the chalkboard and remove tape. Put your favorite scented candle inside the jar and tie a ribbon around the top as a finishing touch. This unique activity was designed to help loved ones with memory recall. Imagine giving the one you love the gift of sweet memories of the moments that mean the most of them. Simply put on their favorite music, include foods that remind your senior of those special times, add some vintage decor and encourage them to wear a piece of clothing indicative of the decade. This is a great way to elicit memories, conversations and emotions from a cherished past. Some seniors just love bird watching. It’s a soothing, tranquil activity that not only enhances the lives of the birds, but your loved one as well. This Valentine’s Day, put love birds at the top of your activity list by making these adorable heart-shaped bird feeders. The recipe is simple. Take 3/4 a cup of flour, 1/2 a cup of water, 1 envelope unflavored gelatin (2.5 teaspoons), 3 tbsp corn syrup and 4 cups birdseed. Spray a large spoon with cooking spray and combine all ingredients in a large mixing bowl. Grease your heart-shaped cookie cutters, place them on parchment paper and then onto a cookie sheet. Fill the cookie cutters with a generous amount of birdseed mixture. After the cookie cutter is filled, create a hole in the birdseed at the top and remove the cookie cutter. Let solidify overnight and lace red and white string through the feeder. Tie and hang outside for a festive tweet. After the holidays it can be hard to care for a loved one full-time. That is why Freedom Home Care is here, to help when you can’t. Choose from our many services that fit the needs of your family.